Radiation has odd effects on even the most timid of mice. Once test subjects for the twisted experiments of the Laboratory, these now blood-thirsty mice turned on their captors. In the Acolyte Realm and Forbidden Grove locations, the Mutated White Mouse is attracted only to Radioactive Blue Cheese. In the Bazaar location, the Mutated White Mouse is attracted to Standard Cheese and Gilded Cheese. In the Laboratory location, the Mutated White Mouse is attracted to Standard Cheese and Radioactive Blue Cheese. No Charms are required to attract the Mutated White Mouse. The Mutated White Mouse is weak to all Power Types (except Parental). However, in the Forbidden Grove, and Acolyte Realm locations Shadow or Arcane weapons will be effective against a larger group of the available mice. It is recommended that Hunters use a trap that will be effective against the main mouse population in their hunting location. The Mutated White Mouse drops Stale Cheese as loot in the Forbidden Grove and Acolyte Realm locations. The Mutated White Mouse is not known to drop any loot in the Laboratory or Bazaar locations. Attraction info and special event loot drops for the Mutated White Mouse can be found at the individual event location pages. 19 June 2008: The Mutated White Mouse is released. 14 April 2011: The Mutated White Mouse began dropping the Green Plaid Egg in the Laboratory as part of the Spring Egg Hunt 2011 event. 25 June 2013: The Mutated White Mouse gained a vulnerability to Law power type traps, with the release of Varmint Valley. 25 March 2014: The Mutated White Mouse gained a vulnerability to Rift power type traps, with the introduction of the Rift Plane. 9 September 2014: The Amplified White Mouse was introduced as the Rift counterpart of the Mutated White Mouse. 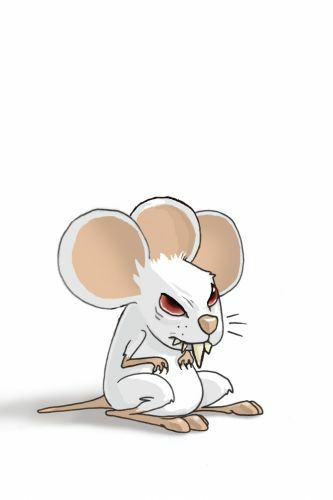 17 October 2018: The Mutated White Mouse changed mouse groups from Indigenous Mice to Lab Experiments and also was removed from the Mousoleum. This page was last edited on 10 January 2019, at 18:44.